WORK HARDER THAN YESTERDAY TO ACHIEVE A DIFFERENT TOMORROW. CONTACT US TODAY TO GET YOUR FIRST CLASS FREE! Brazilian Jiu Jitsu (BJJ) is a martial art and combat sport that focuses on grappling and ground fighting. BJJ was formed from Kodakan judo ground fighting (newaza) fundamentals that were taught by a number of individuals including Takeo Yano, Mitsuyo Maeda, Soshihiro Satake, and Isao Okano. BJJ eventually came to be its own combat sport through the experiments, practices, and adaptation of judo and jujutsu through Carlos and Helio Gracie (who passed their knowledge on to their extended family) as well as other instructors who were students of Maeda, such as Luiz Franca. The greatest thing about Brazilian Jiu Jitsu is that it is focused on technique and not size or physical strength, which allows people of all shapes and sizes to practice the sport. Why do you want to practice martial arts? Everyone has a different reason, and our individual approach will help you achieve your goals in a safe and friendly learning environment. 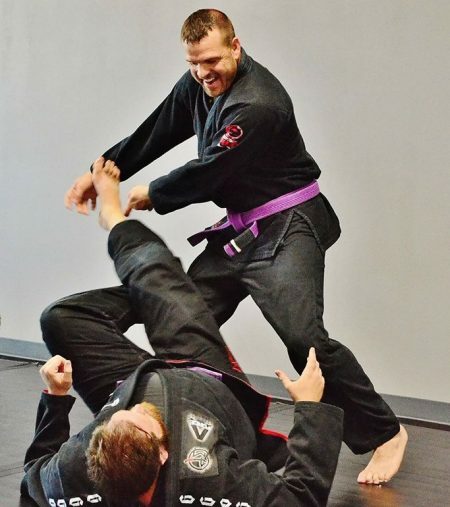 Speaking from a self-defense perspective, Brazilian Jiu-Jitsu stands out from other martial arts by providing solutions for every facet of combat. Most other martial arts focus on striking and/or kicking and rely on a person’s strength and speed to deliver damage. However, speed and strength are often negated when distance is closed and the fight is taken to the ground. 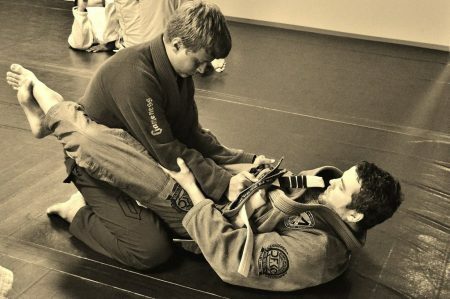 Brazilian Jiu-Jitsu differs from other martial arts fundamentally, in that Jiu-Jitsu places emphasis on superior technique and leverage over strength and speed. This is one of the many reasons that Brazilian Jiu Jitsu is extremely beneficial to men, women and kids of all ages and body types! 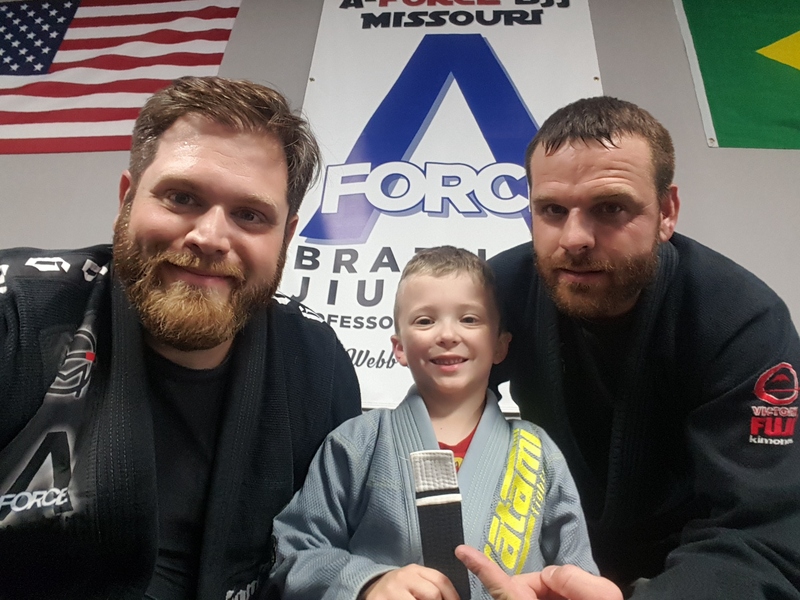 The goal of our kids program is to teach kids the building blocks of Brazilian Jiu Jitsu as well as self discipline, focus, and physical fitness while maintaining a safe and fun environment. Our kids class is geared towards kids 8-13, however exceptions can be made on a case-by-case basis. Brazilian Jiu Jitsu is traditionally practiced in a grappling kimono, or “gi”. Our classes are primarily in the gi, with the exception of the first week of every month, which we call “no-gi week”. During this week, students are not required to wear the gi and we will focus on the no-gi aspect of jiu jitsu, sometimes called “submission wrestling”. We believe that this is a chance to focus on different aspects of grappling. Our early morning sessions are generally no-gi. These classes are heavily geared towards live sparring with less time spent on learning technique. It is recommended that students have a basic understanding of positions and transitions before joining this class. BJJ Drilling Class is a time when we will pick a set of techniques or movements and repeat them over and over (or “drill”) in order to build both mental memory and muscle memory of the technique. Repetition is key for learning in jiu jitsu; as the old phrase goes, “Drillers make killers”. Are you interested in learning more about one of our classes? Check out a few of our popular classes below.